Truth be told, Thanksgiving is one of my favorite holidays. It has a much different meaning to me than it did as a kid. Mainly because I’ve grown to learn that the “Thanksgiving Feast” we learned about as children is basically a fabricated lie to make people feel better about stealing land and lives from Native Americans. So, no I don’t, celebrate Thanksgiving with decor depicting pilgrims and Native Americans. And if you do, I hope you’ll educate yourself on why that’s super problematic. If you haven’t realized, I keep it real around here. I do want this to be a happy corner of the Internet, but in recent times, I’ve realized my voice has a purpose. That’s something I’m thankful for. So, I will never be one to sugarcoat the facts. You came here for recipes, right? So, let me first tell you why Thanksgiving is a favorite of mine. FAMILY, FRIENDS and FOOD. You see Christmas is full of SO much pressure to buy the perfect gift for EVERY person in your life, and I feel like the true purpose gets lost. What’s really important is spending quality time with one another, because our time here in this world is so short! I’m totally feeling that as I creep closer to 30. So, behind Halloween, Thanksgiving is my favorite because you make a lot of really yummy food and get to enjoy it with people you love. This year we are going to a friend’s house for Thanksgiving, so we are not hosting. Personally, I love hosting and cooking a huge meal - even if it’s just Kyle, myself and Whistler. However, I’ll still be making some of my favorites to bring to their home. Brining is the ONLY way to cook a turkey if you really wanna know how I feel. Personally, I use brine recipes just as a guideline for how much salt and sugar to add to the brine bag. Then, I add what sounds good. You can pick up a brine bag at any grocery store. Just be sure it will fit your bird! If I were making a turkey this year, this is the one I’d try! These are the two dishes that I’m bringing to our friend’s place. One is a new recipe to the Thanksgiving spread, and the other is a tried and true classic. Bonus: Both are great if you have vegetarians at your table. Roasted Carrots with Vinaigrette - Here’s the thing you need some veggies on your plate. I don’t even LIKE cooked carrots, but SOMEHOW Ree Drummond dusted her magic on these. They are TO DIE FOR, and even Kyle loves these carrots. You have to try them. Best Green Bean Casserole - Is it even Thanksgiving without this dish? No matter what, I use recipes as a guide. I rarely follow them line by line. For example, to make this easier on Kyle (who is lactose intolerant), I make my own cream of mushroom soup with lactose-free milk. It’s just as yummy, and no one had a stomach ache. Okay, you need the classics - pumpkin pie, apple pie, but I’m not gonna lie I usually buy those from one of the fancier grocery stores in town! But, if you are up for making something a little different, these PUMPKIN GOOEY BUTTER CAKE BARS from Becky at The Cookie Rookie look divine! If you’ve never had Ooey Gooey cake, you’re in for a treat. Plus, these add a Fall twist with the addition of pumpkin. We love making breakfast and starting the day with mimosas. 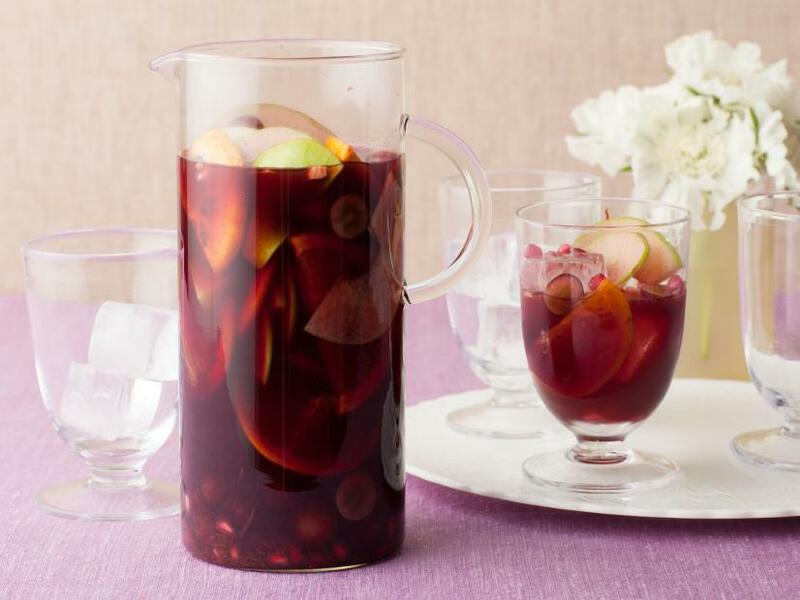 But, for the remainder of the day, we love sipping on sangria. I usually Google a recipe that sounds good, or jazz up my own recipe with some extra Fall flavors like cinnamon and nutmeg. But, this one from Bobby Flay adds pomegranate which totally screams HOLIDAYS! 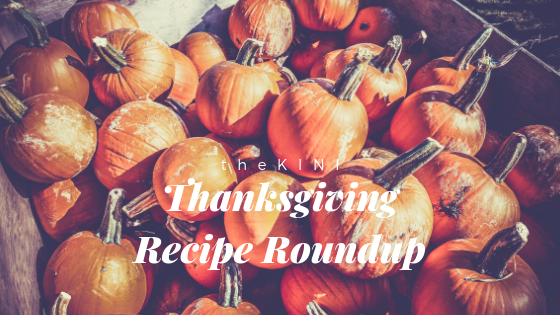 I hope you all have a wonderful holiday, and let me know if you try any of these recipes! I’ll be cooking away on Stories this week, so come hang out.